Back in college, I came down with a 7-month long debilitating stomach ache after eating some salad on campus one day. After seeing many doctors, I was diagnosed with a “chronic bacterial infection” and was prescribed drugs that didn’t help and a depressing timeline of “lifelong” pain. Not accepting that as a good quality of life, I researched different options and ended up hearing about the “Lemonade Diet” aka “Master Cleanse” from a friend. After really looking into and reading about this monodiet full body detox, I gave it a try…and was completely cured of the bacterial infection. Since then, I had two babies in under two years, and have nursed for almost 3 straight years. My son who turned one yesterday has been self weaning, and I decided now would be an excellent time to do another cleanse. I am overweight from what I was before getting pregnant with baby #1 and unfortunately fell into that category that Weight Watchers describes as “holding on to ten pounds” throughout nursing (in theory, then, I should be able to lose that weight now…or so I am crossing my fingers for!). My first time cleansing, I lost a whole whopping two pounds. I’m guessing that’s because I wasn’t overweight and my diet was a vegetarian one to begin with so my body wasn’t very toxic. This time, though, I’m really hoping that on top of the excellent benefits of detoxing in general, that it’ll also help kick start some weight loss. Anyway, I’ll try to keep ya’ll updated on how it’s going. If I make it through the whole thing, it’ll take ten days (I did eight days my first time). If you have never heard about the Master Cleanse, you should definitely Google it tonight. It may be the best thing you ever did for your body and mind! I haven’t been real hungry, but around dinner time began really craving cheese, vegetables, and a nice cold glass of vanilla soymilk. Weird, I know. Most people crave things like fried food and chocolate. Me? Extra sharp cheddar cheese. Physically, I began losing it around midday–right after doing my first “Insanity” video workout. Killed me. Almost threw up. (Maybe I shouldn’t be doing both of these simultaneously, but darnit, I deserve to get back into shape quickly.) Right now, it’s 8:33pm and I have a weird sort of headache, am lightheaded, and grumpy. If I remember right, the first 3 days on the cleanse are pretty rough, but after that you’re home free. I can make it two more days! Oh, and maybe this isn’t the best time in my life to start a cleanse; I’m getting divorced, just spent 53 hours in a row working EMS at the Phish Ball (three day Phish music festival), and have a two year old and a one year old. BUT. I don’t have to work again until Friday which will be day five of the cleanse and I have been wanting to get back in shape since, oh, GIVING BIRTH almost three years ago, so I think now’s probably as good of a time as any. 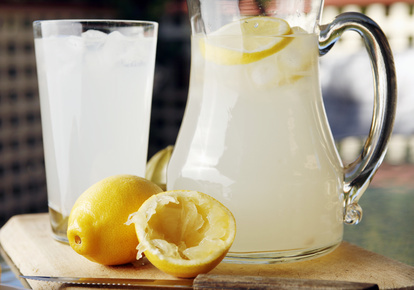 What does the lemonade cleanse entail? I'm intrigued! So sorry you're going through a tough time. I'll be holding you in the light. Take care! I've been contemplating this cleanse for months…. you are a strong woman! thank you for your blog and for sharing your life with us! Good luck with the cleansing! I wish you all the mental stamina to hang on and do what is right for your body AND soul. It sounds like you know what to do to honor your body and take good care of yourself.